And another friendly hi-def hello to our fellow blu-ray geeks. 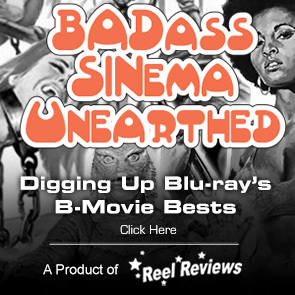 Welcome to the weekly look at our most wanted titles coming to blu-ray and/or 4K Ultra HD for the week of April 16, 2019. This week our Most Wanted list features three catalog titles from Shout Factory, a classic from the Criterion Collection, and two new films hitting home video for the first time. In addition, Mill Creek Entertainment hits us up with a couple of really cool catalog titles. 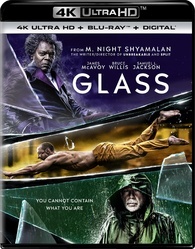 M. Night Shyamalan's Glass, a superhero follow-up to 1999's Unbreakable, and 2016's Split is making its way to home video for the first time in numerous formats including a 4K Ultra HD + Blu-ray + Digital HD edition, a Blu-ray + DVD + Digital HD edition, and a fantastic-looking Best Buy Exclusive that comes with unique packaging, 3 Collectible Character Art Cards and 4K Ultra HD + Blu-ray + Digital HD. 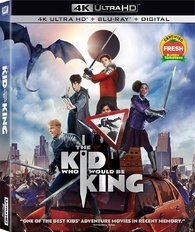 Also debuting on home video this week is the Joe Cornish fantasy adventure film The Kid Who Would Be King that comes in a 4K Ultra HD + Blu-ray + Digital HD edition as well as a Blu-ray + DVD + Digital HD two-disc set. Both editions will feature deleted scenes, featruettes, music videos and more. Shout Factory continues to put out with three releases that make our list this week. 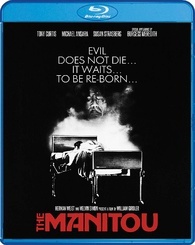 The 1978 horror film The Manitou, starring Tony Curtis and Susan Strasberg is getting a brand new 4K remaster, new interviews, a new commentary and more. James Roberson's horror/thriller Superstition is also getting a blu-ray release this week from Shout Factory that features a new 2K scan for the original film elements as well as a two new interviews, one from director James Roberson, the other from actor James Houghton. 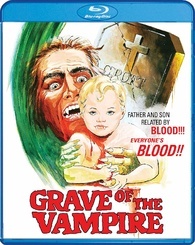 The 1972 John Hays horror film Grave of the Vampire is getting a blu-ray release as well although we don't have any details about the release or its supplemental material. 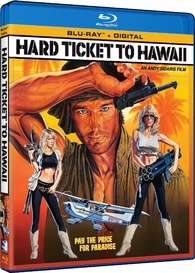 Mill Creek Entertainment gets in on the hi-def action this week with a new 4K restoration of the action films Hard Ticket to Hawaii and Malibu Express. Both Andy Sidaris films come loaded with special features including behind-the-Scenes featurettes and an intro from Sidaris. 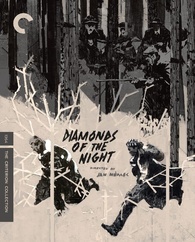 From the Criterion Collection comes the 1964 Czech film Diamonds of the Night, based loosely on Arnošt Lustig's autobiographical novel Darkness Has No Shadow. The film gets a shiny new 4K restoration as only Criterion can do it. The release also contains a handful of interviews, featurettes, shorts and and English language translation. 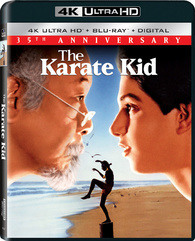 Believe it or not, but it has been 35 years since the theatrical release of The Karate Kid and to commemorate the milestone, Sony is putting out a 35th Anniversary Edition / 4K Ultra HD + Blu-ray + Digital HD edition that sports a brand new 4K restoration from the camera negative, a newly-created Dolby Atmos track, and new interviews. From Twilight Time comes the highly-anticipated blu-ray debut of the 1980 Jonathan Demme comedy/drama Melvin and Howard that stars Paul Le Mat, Jason Robards, and Elizabeth Cheshire. This release will be limited to just 3,000 units, so get your orders in early. A Hawaiian drug kingpin plans to flood the islands with narcotics all financed by illegal diamond shipments to his private retreat. When his henchmen kill two DEA agents who were trying to stop the drug lord, the Agency sends in two of its best agents to break up the drug ring and take out the leader. Starring Hope Marie Carlton, Rodrigo Obregón, Rustam Branaman, Michael A. Andrews, and Kwan Hi Lim. Brand new 4K restoration of the film. What appeared to be a simple murder case for private investigator Cody Abilene becomes a complicated matter when you have to factor in all the beautiful women, including the widow, who are potential suspects. Starring Darby Hinton, Sybil Danning, Art Metrano, Shelley Taylor Morgan, and Brett Baxter Clark. "Justice League vs. 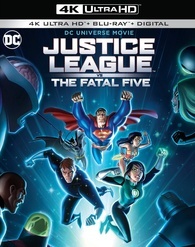 The Fatal Five" finds the Earth's future hanging in the balance when the Justice League faces a powerful new threat – the Fatal Five. Superman, Batman and Wonder Woman seek answers as the time-traveling trio of Mano, Persuader and Tharok terrorize Metropolis in search of budding Green Lantern, Jessica Cruz – whom they need to free remaining Fatal Five members Emerald Empress and Validus in order to carry out their sinister plan. But the Justice League discover an ally from another time in the peculiar Star Boy – brimming with volatile power, could he be the key to thwarting the Fatal Five? An epic battle against ultimate evil awaits! Five cities. Five taxicabs. A multitude of strangers in the night. Jim Jarmusch assembled an extraordinary international cast of actors (including Gena Rowlands, Winona Ryder, Armin Mueller-Stahl, Beatrice Dalle, and Roberto Benigni) for this quintet of transitory tales of urban displacement and existential angst, all staged as encounters between cabbies and their fares. Spanning time zones, continents, and languages, Night on Earth winds its course through scenes of uproarious comedy, nocturnal poetry, and somber fatalism, set to a moody soundtrack by Tom Waits. Jarmusch's lovingly askew view of humanity from the passenger seat makes for one of his most charming and beloved films, a freewheeling showcase for the cosmopolitan range of his imagination. What surgeons thought to be a tumor growing on the neck of patient Karen Tandy (Susan Strasberg) is actually a fetus growing at an abnormally accelerated rate. But when Karen reaches out to former lover and phony psychic Harry Erskine (Tony Curtis), she discovers that she is possessed by the reincarnation of a 400-year-old Native American demon. Now with the help of a modern-day medicine man (Michael Ansara), Erskine must survive this ancient evil's rampage of shocking violence and forever destroy the enraged beast known as The Manitou. The vampire Caleb Croft has awakened from his unholy slumber — with an insatiable lust for blood and the pleasures of the flesh. A brutal attack on a pair of lovers allows for his desire to be temporarily fulfilled ... but his unspeakable acts leave the woman pregnant with his child. Ignoring all advice, she gives birth to the progeny of their unwanted union: James — who will only drink blood from his mother's breast. As James matures, he learns of his father's true nature, and sets out to destroy him. Reformed outlaw Glyn McLyntock (James Stewart) has become a guide for farmers headed to Oregon. 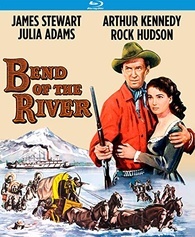 When he rescues thief Emerson Cole (Arthur Kennedy) from execution, Cole joins him on the journey. Once the settlers arrive, they discover that a trader who was supposed to send them provisions is now trying to scam them. After McLyntock and Cole travel to Portland to forcibly retrieve the supplies, Cole betrays McLyntock and steals the goods himself. McLyntock pursues, ready for battle.